One of the most important skills directors and DPs are required to master is moving the camera in a dynamic and engaging way. 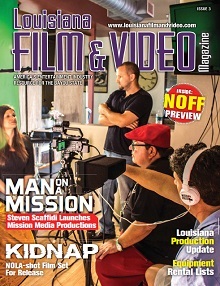 DGA & ICG Director, Vincent Laforet, is teaching his Directing Motion workshop in New Orleans on June 26. Directing Motion will teach all levels of filmmakers the precise cinematic language of motion, and how to move not only the camera itself, but also content in front of the camera. You will step away from this experience with a solid foundation in camera movement, blocking, lensing, and sequencing, and be able to direct any crew precisely and effectively to execute your vision. By understanding these principles thoroughly, you will add impact to your projects, from commercials through to webisodes, features, shorts, events, or documentaries. 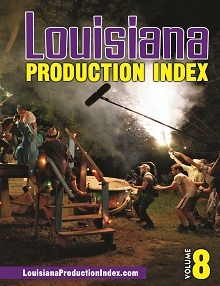 In its sophomore year, The Louisiana International Film Festival is set to screen over 50 films, including major award-winners, documentaries related to Louisiana and southern history and Louisiana premieres. The festival expands its programming into music video, animation, interactive and new media. Keynotes and workshops presented by filmmakers from the following Louisiana productions: American Horror Story, Terminator, True Detective and more. Directors and Writers from: MGM, Universal, Columbia, Warner Brothers and Walt Disney Pictures will also be participating. LIFF interactive programming includes speakers from and who have worked with Apple, Netflix and HBO with a special panel by Chris Garrity (Head of Innovation at the Super Bowl). Comedy Central is presenting six world premieres with the Louisiana International Film Festival from TripTank with special guest show producer Scout Raskin. To debut the music video component, Sean Lennon’s new short-form music film ANIMAL will premiere at the festival, directed by Rich Ragsdale, ANIMAL was recently performed on The Late Night Show with David Letterman, featuring LIFF Creative Director Alexander Antebi who was representing Louisiana dressed in neck to toe thrift, vintage and boutique fashion from Cowboys Western Wear from Scott, Louisiana to Time Warp Boutique and St. Vincent de Paul in Baton Rouge. “We are watching films on our phones, television on our computers and YouTube on our televisions. As these medias are converging and evolving so must our programming,” states Chesley Heymsfield, Executive Producer of the festival. This year’s star-studded line-up includes: A Thousand Times Goodnight with Juliette Binoche (Grand Prize Winner / Montreal World Film Festival); Siddarth (Beijing International Film Festival / Best Film Winner); God’s Pocket, with the late Phillip Seymour Hoffman, Christina Hendricks and John Turturro; Elsa & Fred set in New Orleans and starring Shirley MacLaine and Christopher Plummer; The Double with Jesse Eisenberg; and director Roman Polanski’s second North American screening of Venus in Fur. For a complete festival program and schedule see www.lifilmfest.org. The Digital Cinema Society (DCS) brings their first ever event to New Orleans – “Shoot, Color Correct & Project Sony 4K” – to VER Digital Cinema New Orleans on Tuesday, May 13. The program was first developed for Sony’s Digital Motion Picture Center at Sony Studios in Culver City. Cinematographer and DCS president James Mathers will be joined first by Sony’s Keith Vidger for an in-depth presentation of Sony’s F55 Digital Cinema camera and the status of 4K. The presenters will then shoot in 4K with the F55, and then, using Technicolor’s DP Lights System Colorist Bradley Greer, they will run through the complete workflow by taking the footage acquired on-site through color correction, all the way to projection in 4K. For more information, visit www.digitalcinemasociety.org.